Poplar solids and cherry veneers are warmed with a multi-step Rustic Cherry finish while a bold top molding and Marlborough styled feet draw the eye deeper in. 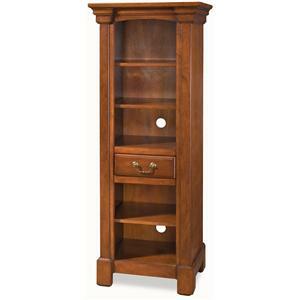 The Aspen Pier Cabinet provides generous storage/display space with three adjustable shelves and storage drawer. Pair the daybed with the stylish expansion desk to create a multi-functional room. The daybed offers versatility in that it can be used as a twin bed or seating in a casual sitting room. The bed has two storage drawers with recessed drawer fronts and arched back and side panels. 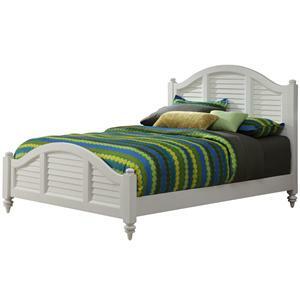 It is constructed of mahogany solids and engineered wood with solid wood slats for strength and stability. This desk can be used as a larger night stand, side table, or stand alone piece when closed. Create a warm and inviting sanctuary to leave your day's troubles behind with this beautiful bed. The headboard has three panels of book matched zebra wood veneers over engineered wood, which establishes a distinctive appearance. 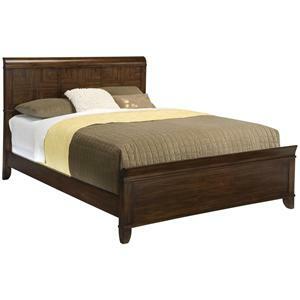 The footboard and rails are constructed of mahogany solids and veneers. Make your bedroom complete with this beautiful bed. Headboard is also available separately. This lovely entertainment stand will create a wonderful living room environment in your home. It is made out of hardwood and wood products in a multi-step ebony finish including a clear coat finish to help guard against wear and tear from normal use. The piece features two outer doors with adjustable shelves behind and two open compartments in the middle for media components and accessories. 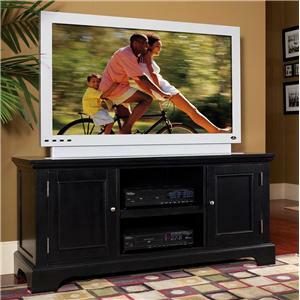 The top of the television is great for a flatscreen television. 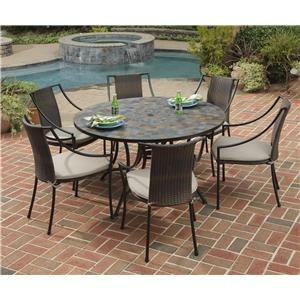 This seven-piece patio dining set includes a round top table and six synthetic-weave arm chairs. The table top features small, square, hand-applied slate tiles and a center opening that can be used for an umbrella or can be closed with the included black cap for a continuous surface. The table base and chair frames are constructed from powder coated steel in a black finish and includes adjustable, nylon glides to prevent damage to surfaces caused by movement and to provide stability on uneven surfaces. 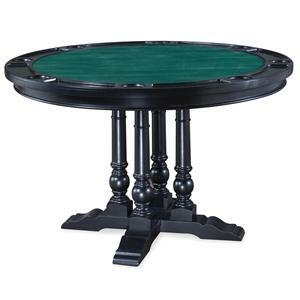 Invite friends or family over for a game night with this felt-lined, round top game table. The table is bordered with built-in drink holders and cheap slots for player convenience, and the top can easily be flipped for a standard wood dining top when games are not in play. The table is constructed from Asian hardwoods and engineered wood in a matte black finish and features a traditionally turned single pedestal base. Perfect for watching television in a smaller living space, this entertainment console would be a nice addition to your living room. With a traditional flair, the bracket feet accentuate the sophisticated appeal of this piece. Constructed out of poplar solids and birch veneers with engineered wood in a hand-rubbed windsor cherry finish, the inviting style of this TV cabinet will fit in any décor. 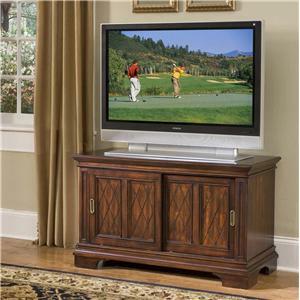 This credenza can hold up to a 47 inch television and features two sliding door cabinets, each with an adjustable shelf. This queen size louvered panel bed showcases a design inspired by the fusion of British traditional and old world tropical design styles. 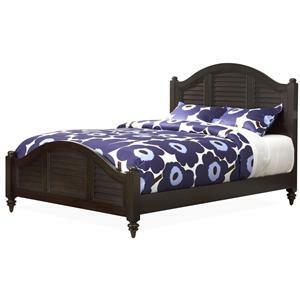 Constructed from Mahogany solids and engineered woods, this bed is available in both matte White and Espresso finishes and features fully turned bun feet, finial topped posts, and a gracefully curved headboard and footboard with louvered panels. Constructed from solid hardwoods and engineered wood, this three-piece island and stool set is available in three finishes, complimenting a range of home decor types. 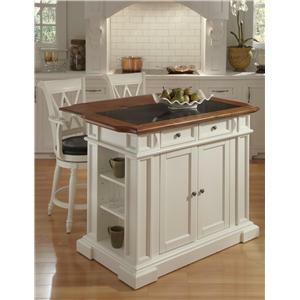 The kitchen island features a granite inlay top, decoratively recessed paneling and an array of convenient storage features, including an extendable breakfast bar. Since 1998 Home Styles has merged highly functional, great-looking design with the affordability of ready-to-assemble furniture. Versatile styling and classic finishes make our furniture an ideal complement to traditional and contemporary decor. Our collections not only look good, but offer innovative functionalities in storage and configuration. Hardwood construction and quality hardware offer resilience through years of use. Our assembly directions are visual and easy to follow.